The transfer function is well positioned to address a number of compelling problems facing higher education in America. Transfer serves families by providing an affordable avenue to higher education while minimizing the impact of crippling loan debt. It serves the public at large by leveraging scarce state resources over the long-term. And it provides a path to higher education for students who might not otherwise have access to it. However, none of these outcomes will be realized unless we improve the transfer process. Although community colleges can and do provide a more affordable avenue to the baccalaureate, the transfer process has remained convoluted, complicated, and complex. Our most vulnerable students begin their postsecondary education at a community college, yet these students are often the least equipped to navigate the frequently choppy waters of transfer in the middle of their undergraduate career. The three broad categories of this book address some of the most pressing issues by focusing on key aspects of the transfer process: strategic planning, curricular innovations and initiatives, and outreach and advising. Many of the articles recognize that transfer is a shifting landscape, and the most imaginative promising practices now emphasize deep collaboration, and shared implementation over the long-term. All of the practices shared evoke a general movement away from transactional gestures towards the building of genuine relational connections with transfer students. This book highlights the experience of practitioners involved in the day-to-day work of serving students in a variety of institutional contexts: public and private, two-year and four-year. The authors hail from institutions around the country, as well as foundations and organizations that are devoted to the important work of improving American higher education. 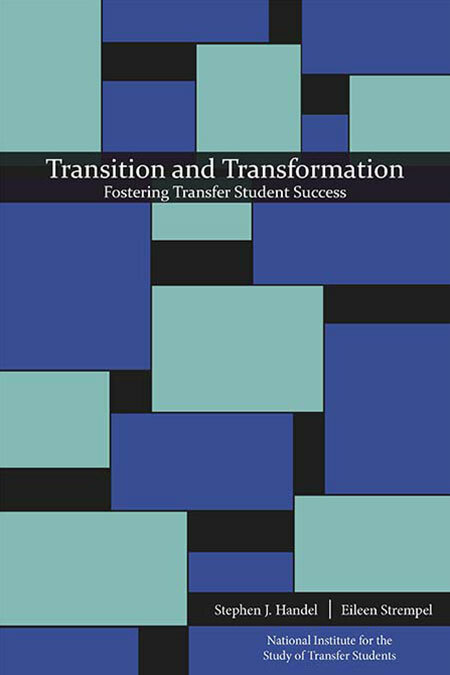 Their insight—often culled from years of experience—provides a set of strategies that will be useful to two- and four-year institution faculty and staff who are interested in improving the transfer process. In addition, this publication will inform policymakers who are grappling with state and national higher education issues and who seek new ideas about closing the achievement gap and increasing higher education completion rates.